Los Angeles is a city infamous for its traffic, smog, and tourist traps. How do we Angelenos escape from the hectic everyday life, you ask? 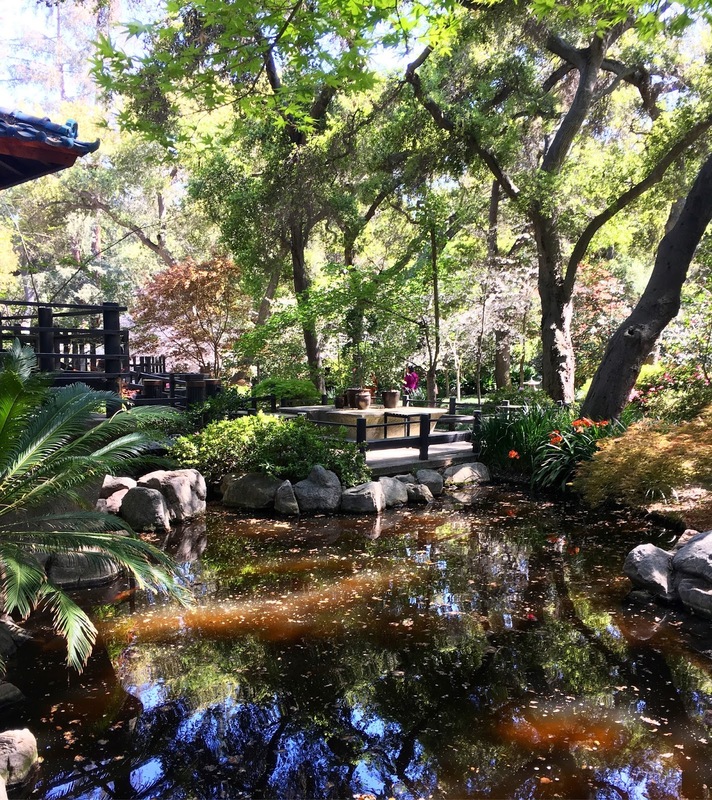 Just a short drive away from Downtown Los Angeles and Pasadena, you will find the peaceful outdoor oasis, Descanso Gardens. 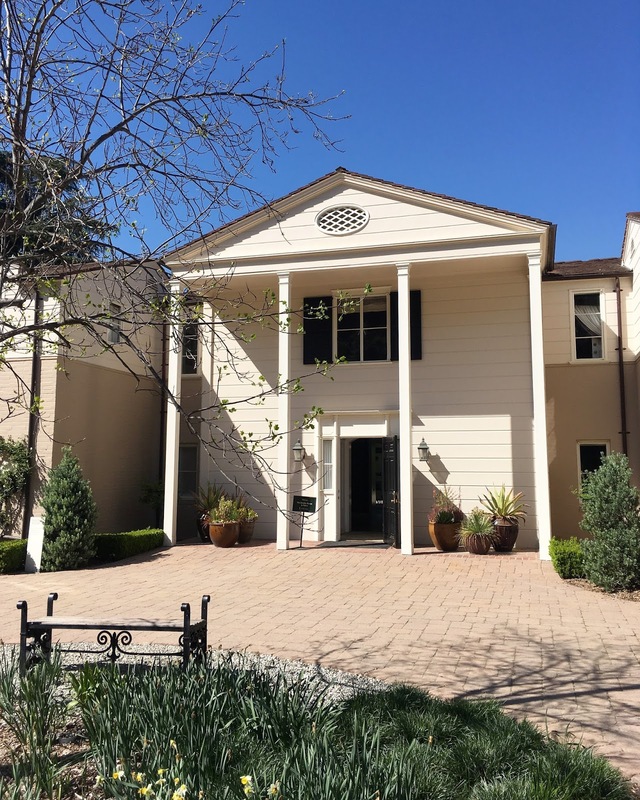 Located in the city of La Canada Flintridge, Descanso Gardens is nestled in a quiet neighborhood with wide, spacious streets. 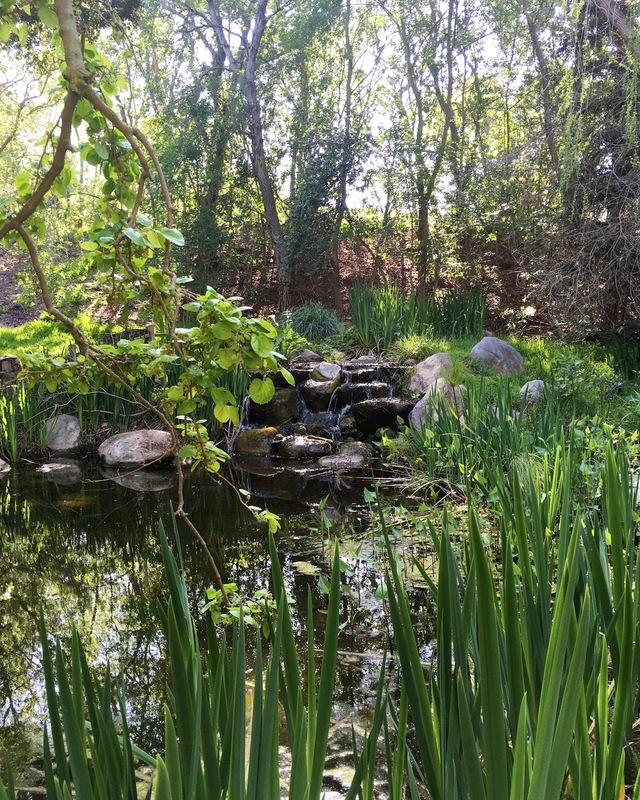 All year long Descanso Gardens host events, offer classes, have docent and self-guided walking tours throughout the gardens, while providing a place where the public can come and enjoy nature. 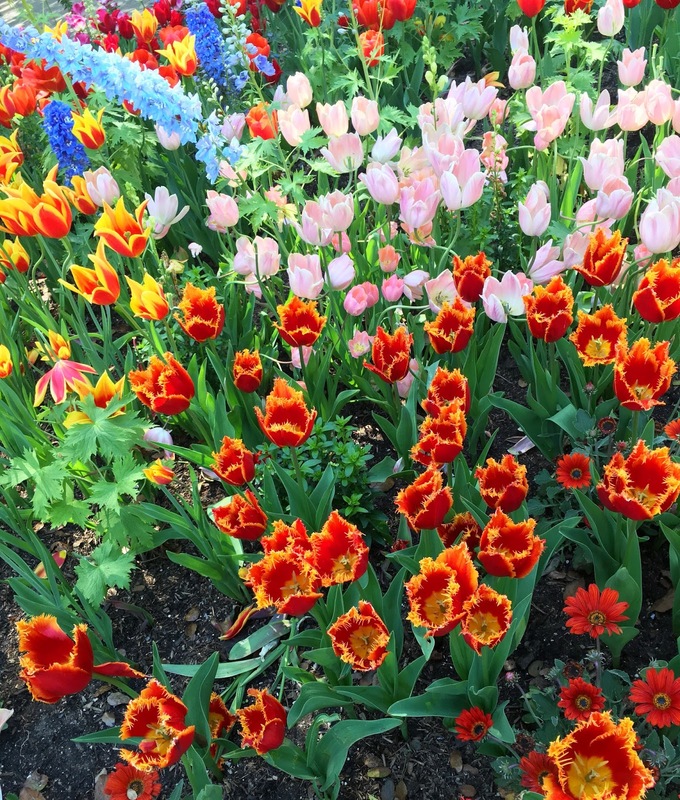 This beautiful garden is a must-see for families, locals, and tourists! 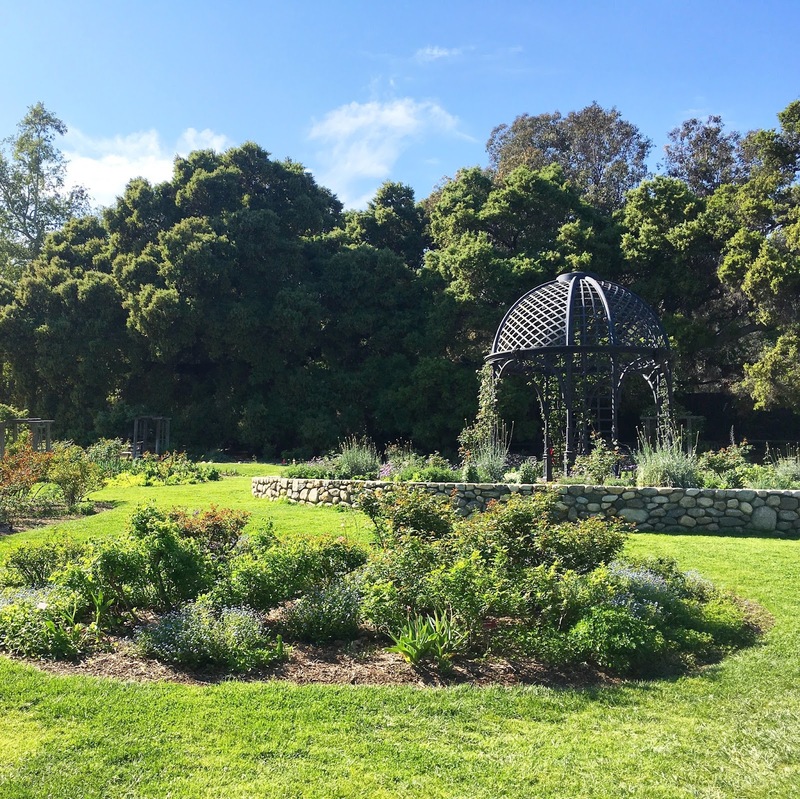 Fun Facts - Descanso Gardens was once a private estate owned by the Boddy family. Elias Manchester Boddy, owner of the Daily News, bought the 150 acre land in 1937 and built his two-story mansion with 22 rooms on the land for his family. Boddy was very interested in horticulture, ranching, and plant science. 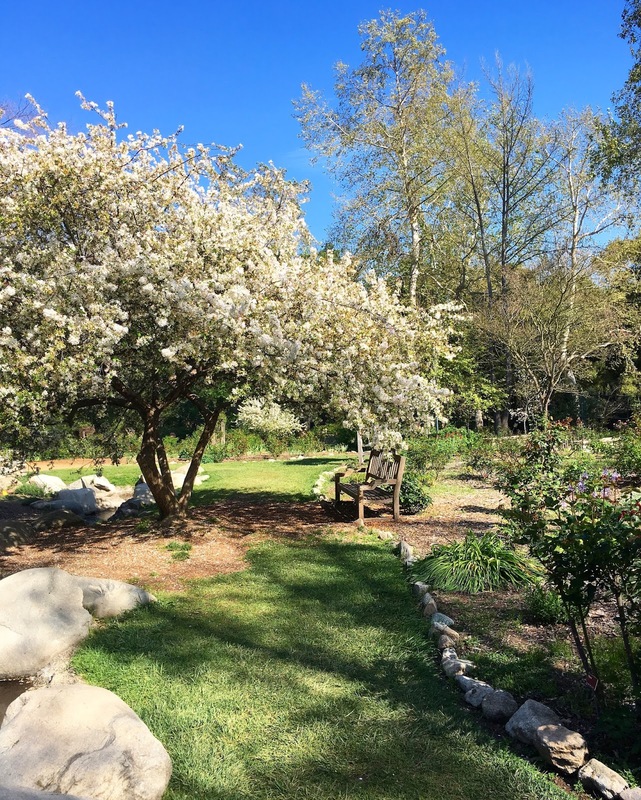 Guests of the gardens can now visit the Boddy House and learn more about the family and how they came to preserve nature so close to the city. 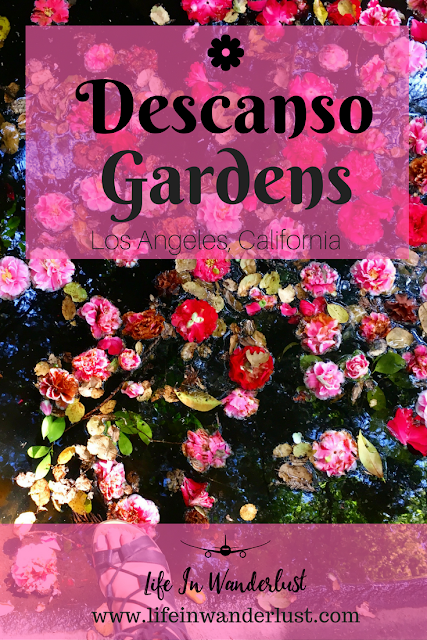 What to See - You will need at least a couple of hours to wander around the different parts of Descanso Gardens! Luckily, the brochure given at the box office upon entry has a map and details about each section of the garden for you to plan your visit to your liking. 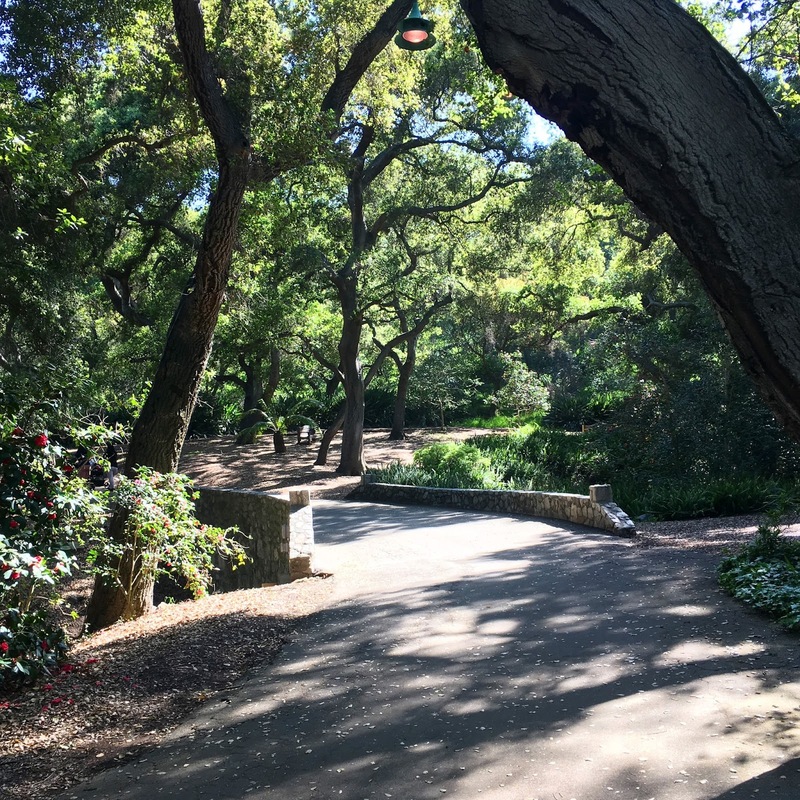 The list of attractions include the Oak Forest, Oak Woodland, Rose Garden, Ancient Forest, Nature's Table, Camellia Forest, California Natives, Lilac Garden, Japanese Garden, Enchanted Railroad and Center Circle. Right now Tulips and Cherry Blossoms are in bloom. I went on a sunny day and the sight was vibrant and full of life. I cannot wait until the Rose Garden have its bloom! Where to Eat - In need of a bite while taking a break from walking around the forests? You have two options for dining at Descanso Gardens. For something a little more on the casual dining side, Cafe Descanso serves a delicious menu of Salads, Burgers, Sandwiches, and Soups. They also serve Intelligentsia Coffee so anyone who is picky about coffee can sip on a great cup of coffee here! Guests order at the window and then dine outside on the outdoor patio. Cafe Descanso is open Monday - Sunday, 9am - 4:30pm. Another dining option at Descanso Gardens is at the Maple restaurant. As of right now, Maple is only open on Saturdays and Sundays for breakfast and brunch, from 9am - 2pm. There is indoor and outdoor seating and reservations can be made. This is a place that is great for cocktails while you have a hearty brunch to de-stress from a long week of work. 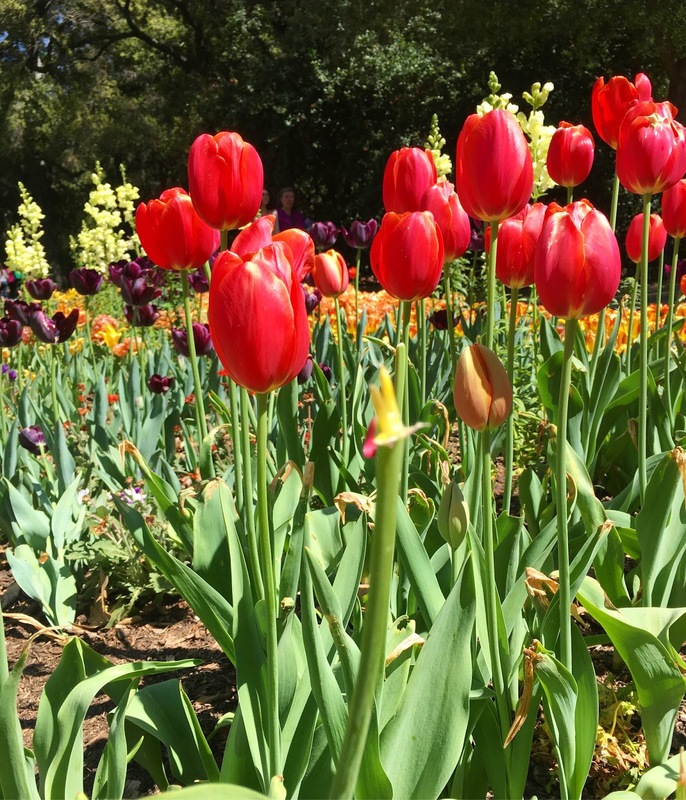 Special Events - Descanso Gardens host classes and special events all year long! Most events are based on the season and what is in bloom. I have been to the beautiful Cherry Blossom Festival in the Spring and the Enchanted Forest event in the Winter. Each event was fantastic in its own way. Be sure to check out their calendar to see what interests you! The events also tend to be sold out so I would suggest buying your ticket online as soon as possible so you won't miss out. 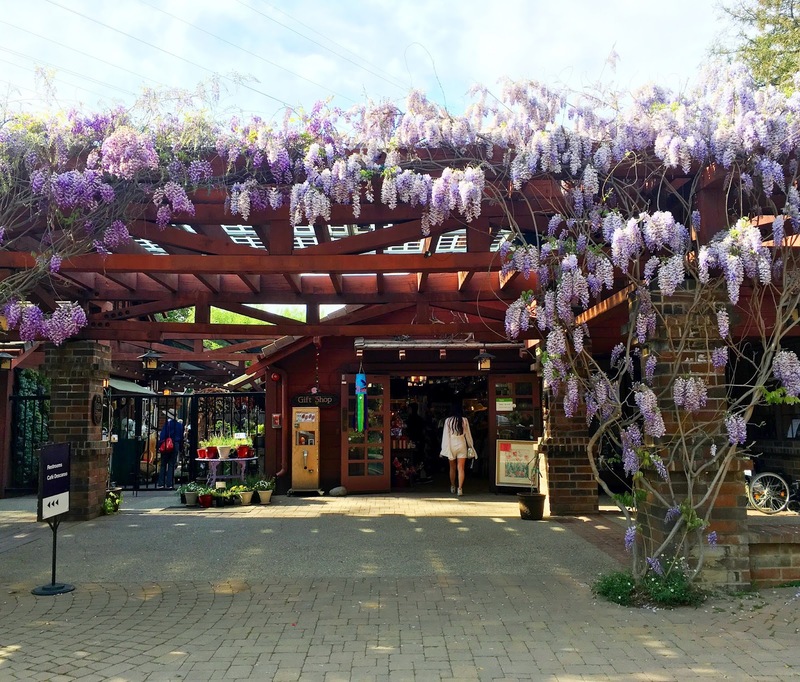 Gift Shop - Before you leave, stop by the Descanso Gardens gift shop and take a peek! They have the cutest cards, typical souvenirs, and plants you can take home! The gift shop won me over with the outdoor nursery and pretty decorations. It was like walking into a Pinterest photo. Ready for your escape from the city? 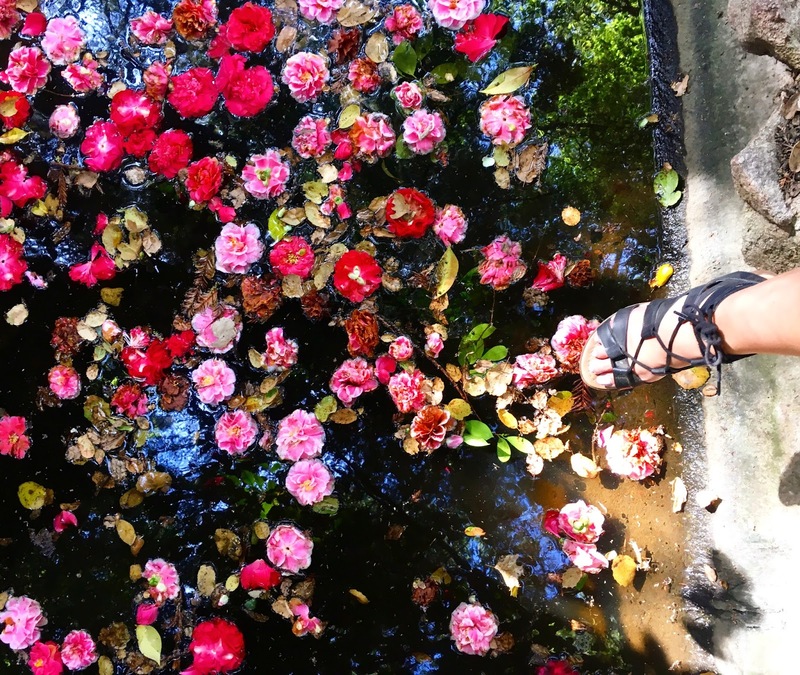 Put on your walking shoes and get yourself out to the Descanso Gardens! 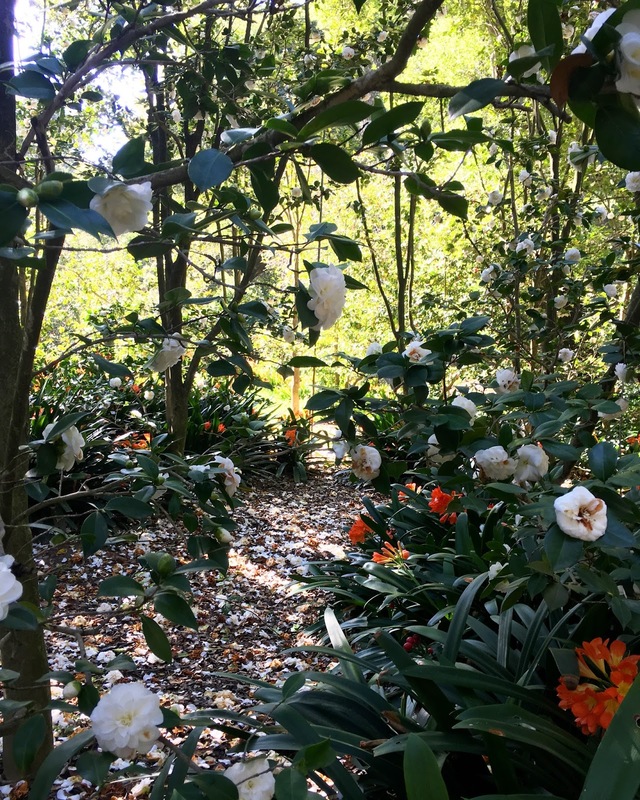 Now that it's officially Spring, flowers are in bloom, escape from the hectic LA traffic and take a deep breath while exploring the different parts of the gardens. Make the best of a beautiful day and don't forget to stop and smell the flowers. Take care! Hours: Open daily 9am-5pm, excluding Christmas Day. Be sure to check for extended hours in the Summer! Parking: Parking is plenty and free in the parking lot. I really love reading Wendy's posts about LA! I always visit gardens when I'm traveling and this place looks so pretty!